Here are this week’s top 10 straight from the Amazon Bestseller ranks. 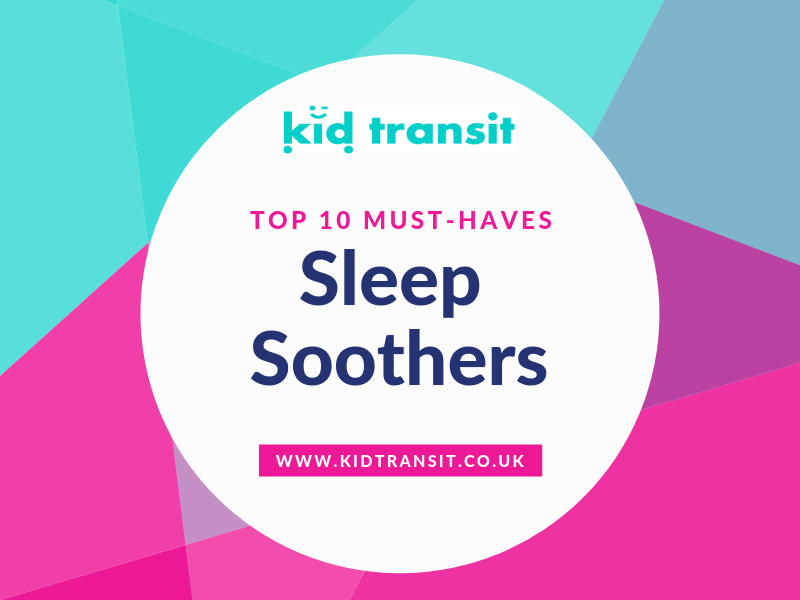 This week we look at the must-have sleep soothers to help your baby or toddler have a good nights sleep. Getting a baby or toddler to sleep and stay asleep is the holy grail of parenthood. Obviously, little babies wont be sleeping through the night anytime soon, but help with getting them to sleep in their cot or Moses Basket is always needed. 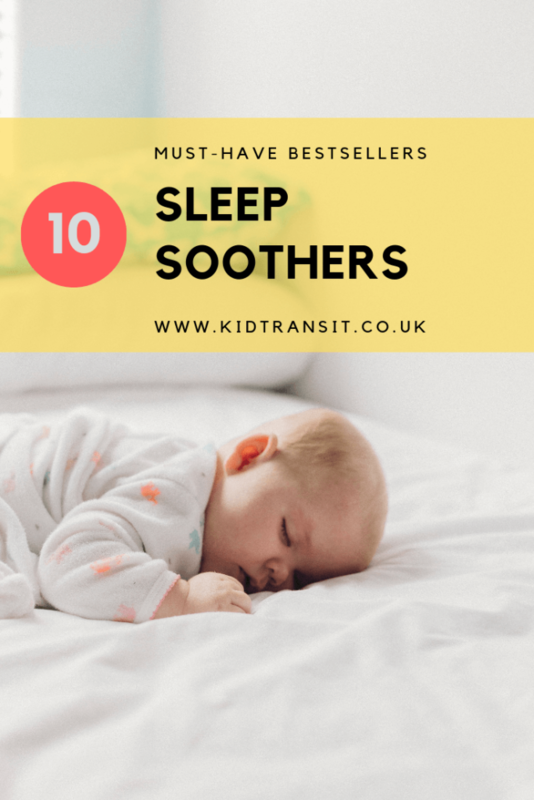 These sleep soothers are all recommended by other parents as the best in the business. Ewan the Dream Sheep can be your newborn’s constant companion to help soothe them to sleep. 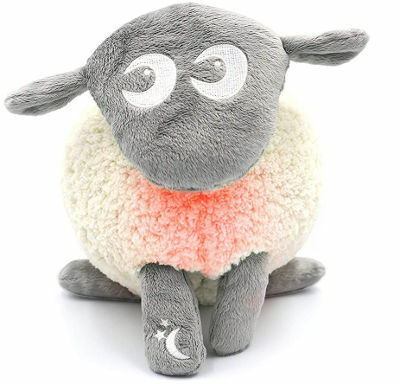 The sheep has a soothing pink glow and sounds including heartbeat, womb sounds, rain and harp music to make your baby feel comfortable in their cot. The timer for the sounds and light runs for 20 minutes to lull your little one to sleep. +Helps ease COLIC induced pain with actual heartbeat and womb sounds that mimic the comforting environment inside the womb. Soothing pink glow. Sounds and light play for 20 mins. The Gro Company also have cuddly sleep soothers to rival Ewan the Dream Sheep. You can choose from Ollie the Owl, Bennie the Bear or Percy the Penguin depending on what friend you like the best. 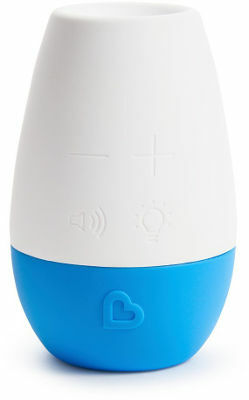 The sleep soother has different sounds including a heartbeat, rainfall, white noise and lullabies. The cuddly is also a nightlight with three different levels which automatically switches off after 30 minutes. 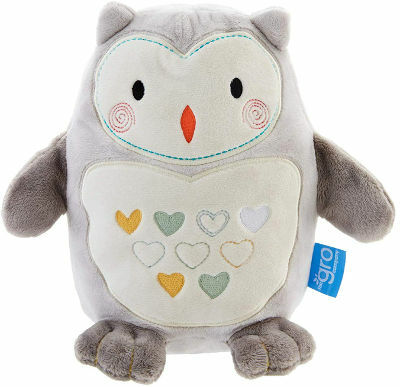 A velcro strap allows you to attach Ollie the Owl to your baby’s cot or pram for soothing on the go. 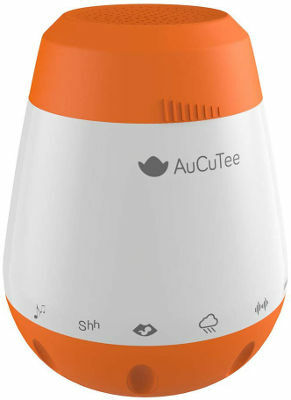 It also has a cry sensor so will activate if your little one stirs overnight. The Gro Company have cornered the market with their GroBags sleeping bags for babies and toddlers. 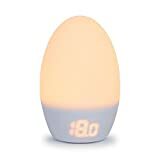 To help you keep track of the right tog sleeping bag, they have a GroEgg thermometer so you can easily see what your baby’s room temperature is. If the egg turns blue, the room is too cold, if it turns red the room is too hot. 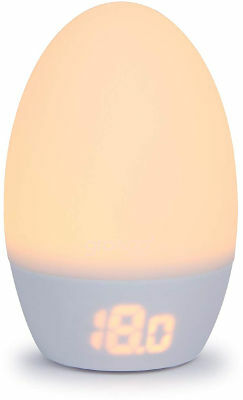 The GroEgg handily doubles as a soothing nightlight, especially handy for toddlers. 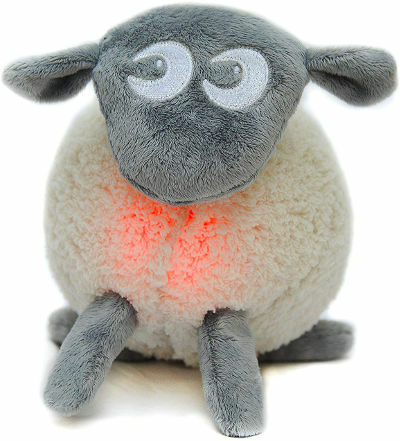 As well as their ‘basic’ Ewan the Sheep, SweetDreamers have a Deluxe Ewan with a smartCRY sensor so you can leave some of the soothing during the night to Ewan. With all the same details as the original Ewan- soft pink womblike glow, soothing sounds and 20 minute shut off- the extra smartCRY sensor gives you a more relaxing sleep alongside your baby. Soft cuddly toy with light and sound features to lull baby into a peaceful sleep. If your baby has picked up a cold, there’s only a limited number of things you can do to help ease the discomfort. 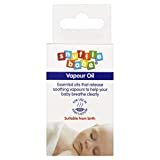 Snufflebabe Vapour Oil is suitable from birth and should ease some of the congestion when they’re are trying to sleep. 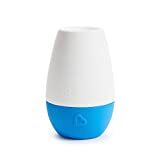 The soothing essential oils are released as vapour when you place a few drops in warm water in your baby’s room, helping to clear their nose and soothe their sleep. 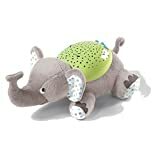 The Smart Baby Sleep Soother has six different noises (lullaby, shush, rain, white noise, fetal heart, wave) to help your baby drift off to sleep. 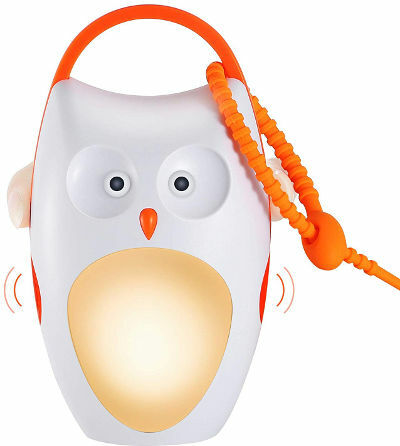 The sound level can be adjusted and the noises are voice activated so will trigger if your little one stirs. The soother is also ‘chew safe’ and rounded so safe for babies to pick up. The sleep soother comes with a charging cable and will last up to 10 hours for one charge. 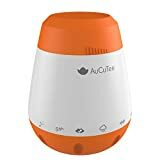 【Soothe & Comfort your baby】Help your baby drift off cry to sleep with the built-in white noise options, include lullaby, shush, fetal heart, rain, white noise, wave. The Shhh Sleep Machine from Munchkin is similar to the Smart Baby, but also includes a pulsing night light to add to the soothing properties. This one only has three different sounds to select: shushing, heartbeat and white noise. It also requires non-rechargable batteries. Unlike other sleep soothers, you can choose when it auto-shuts off- either 10, 20 or 30 minutes. 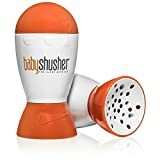 The Baby Shusher does exactly that: it quickly soothes your baby with a rhythmic shushing sound similar to womb noise. The shusher can be set to either a 15 or 30 minute timer. You can control the volume so that you are able to set it to be louder than your baby’s cry. 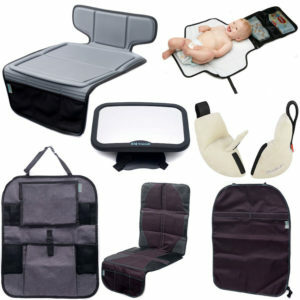 The small size of the Baby Shusher makes it easily portable so you can take it out with you in the pram. This product is most effective if used from birth until around 6 months. 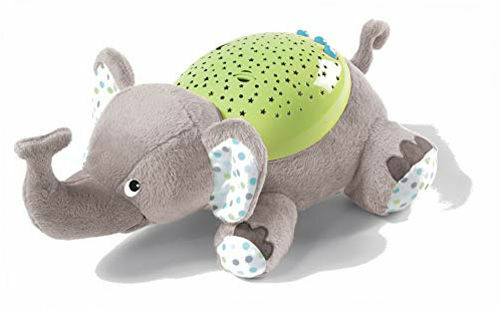 The Slumber Buddies are cute cuddly animals that can be used as a sleep soother with loads of different options. They have five different songs and nature sounds as well as soothing lights in different colours as well as a multi-colour option. The Slumber Buddies creates a stars and moon light show on the ceiling or wall for your child. Timer can be set for different intervals (15, 30, or 45 minute shut-off). The different animals are: Betty the Bee, Butterfly, Eddie the Elephant, Frankie the Frog, Hippo and Ladybird so your child can pick their favourite to be their buddy. 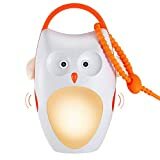 The final Amazon Bestseller is this cute little portable owl sleep soother. 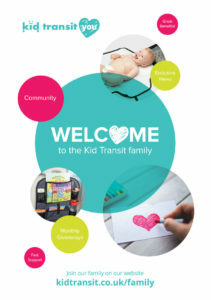 You can take it with you everywhere you go as it has a loop to attach to your pram or cot. The design is baby safe so it can accompany your newborn in their cot. The sleep soother plays four different nature sounds and three lullaby melodies as well as having an auto shut-off after 30 or 60 minutes. 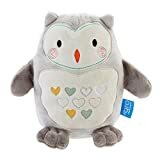 The owl’s breast is a warm night light as well so you can easily see your little one if they wake during the night.